We are available for any special sessions, parties, groups, etc outside the standard opening times. Please call to arrange.  Experienced climbers aged 18 years or over can become members by completing our membership form. Under 18? You can become a junior member provided a parent or legal guardian signs our registration document. Under 14? You must be accompanied by an adult who is a full member, or by a qualified instructor. Guests? As a full adult member you will be able to invite up to two guests – Please read our terms and conditions. Concessions – Under 18 years, students, 60 years and over.